Today I'm excited to welcome guest author Sky Purrington to History Undresed! She has a special holiday treat for us--a bit of history on Christmas in Scotland. Enjoy and happy holidays! Hi Everyone! 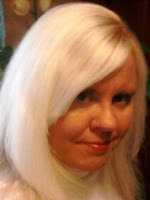 I’m thrilled to be visiting Eliza Knight’s, History Undressed blog. I hope that everyone is enjoying their holiday season so far. It’s hard to believe that Santa will be coming down the ol’ chimney in a few short days. For those of you unfamiliar, I write a cross genre of paranormal and fantasy romance. While I have titles covering everything from vampires to ghost hunters, by far my favorite works include those written about time-traveling Highlanders. Like Eliza, I’m crazy about history, especially Scottish history. I suppose that’s why I can’t sit still in one time period. Before I go any further I’d like to host a Christmas contest. One lucky commenter will win an E-bundle of my ‘The MacLomain Series’ This includes one short story and three full novels. Prize will be either offered in E-book fashion or can be ‘gifted’ straight to your Amazon Kindle. 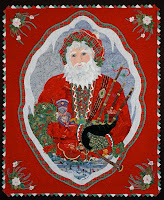 I thought for this visit to keep in Yuletide form and share some age old Scottish Christmas history and traditions. When I did a little extra research for this blog post I discovered something interesting, and a little sad. Christmas was banned in Scotland for FOUR HUNDRED years! So let’s talk first about pre-400 years of no Christmas. 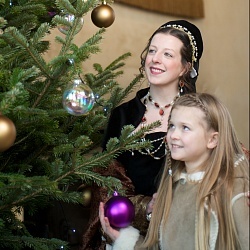 Those were the glorious days when the Yuletide celebrations lasted from December 25th to January 6th. The Scots word "Yule" comes from the Old Norse "jól, which was a midwinter pagan celebration of the winter solstice. Believe it or not, the celebrations are the direct results of the Vikings when they first came to Scotland. They were all about celebrating conquest and plunder. However, their original version of this mid-winter festival lasted a whopping twenty-four days. Yep, those boys knew how to party! Naturally, the overindulgence launched a mammoth feast on the eve of Yule. According to Friends of Scotland.gov.uk, “The Vikings stuffed their faces with vast quantities of food and drink after which they stumbled off into the winter night to light a huge bonfire in the goddess’ honour. Today, fire and light plays a major part in Yule celebrations in many areas of Scotland from Biggar to Shetland. ~Many ancient superstitions and rites held significance for Scots during the Middle Ages. For example, decorating houses with evergreen trees and mistletoe. Our modern trees are newer versions of this ancient pagan idea that the evergreen tree represented a celebration of the renewal of life, while Celtic peoples long considered mistletoe to have magic powers. It was said to have the ability to heal wounds and increase fertility. ~In Scotland a sprig of mistletoe continues to be hung from ceilings and in doorways to bring luck and ward off evil spirits. Kisses are welcome too! 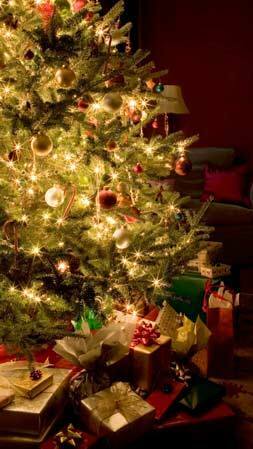 ~Christmas cards are said to have been invented in Edinburgh, Scotland in the mid-nineteenth century. The history of Christmas in Scotland is rich and closely tied with many of the traditions of England, especially in more modern times. But some are unique to Scotland. Many households decorate their evergreen (particularly holly) with strips of their tartan. Also, it’s a ‘must’ to have a short bread on your holiday table, whether it be Scottish Black Pun, Dundee Cake, Scottish Shortbread (bannock) or Maisie Magennis Dumpling. I hope you enjoyed learning more about Scotland at Christmas, History Undressed. Though Christmas wasn’t directly at the heart of it, I spent several years researching and writing about Scotland. To this day, no country has touched my heart like she has. If you enjoy Scottish time-travel, my ‘The MacLomain Series’ is currently being offered at .99 CENTS PER NOVEL for a limited time. Though The King’s Druidess (shorter tale) leads out the pack, I thought to share the blurb from Fate’s Monolith (The MacLomain Series- Book 1). Arianna Broun, a Scottish born colonial American has been haunted by the reoccurring dream of a phantom Scottish warrior. Her infatuation with the dream intensifies until All Hallows' Eve, when the veil between the worlds is at its thinnest. After several bizarre encounters she runs to her safe haven deep in the woods. When dawn comes too early, Arianna is eager to go home. But fate has other plans. 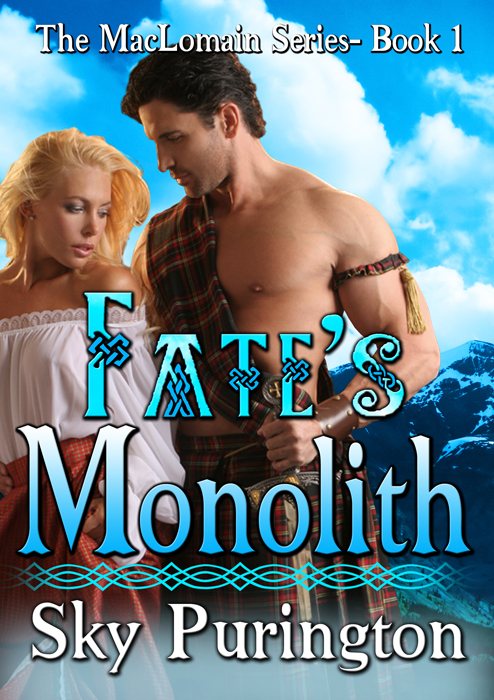 Laird Iain MacLomain has long awaited the arrival of his promised bride. She claims to not be the woman intended for him but she fits the description given him of her, all fire and defiance. That defiance will end up costing them everything and rips them apart. However, a Scottish Chieftain with magic at his disposal is capable of most anything. Will he hold Arianna in his arms again or is she lost to him forever? Only time will tell. Love the information on old Scotland. I never knew Christmas was banned there for so many years. Your books sound wonderful. What an interesting post!! I had also read about there being no Christmas celebrations in Scotland for so long. How sad!!! Thanks so much for sharing Ladies!!! Thanks so much, Callie. I'm still stunned they went without Christmas for so long. How depressing! Hello Sky, dear friend. Nice to meet you Eliza. What a fascinating post! I hadn't relaised it was as late as the 60s before Scotland celebrated Christmas although New Year's Day or 'Hogmanay' has always been a holiday in Scotland whereas it's only been a holiday in the rest of Britain in recent years. I'm Welsh (but we're all Celts) and pout mistletoe above the doors every Christmas, as well as tucking holly over the pricture frames.